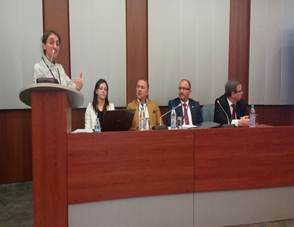 The Third Meeting of Balkan Universities Association was hosted by Sofia St.Kliment Ohridski University on March 24th-25th 2017. The meeting brought together 67 participants and representatives of 34 different Universities from 8 different Balkan countries. 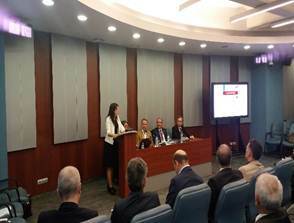 The Meeting of Balkan Universities Association started with the opening speeches of Prof. Dr. Ivan Ilchev, the President of Balkan Universities Association in 2016, Prof. Anastas Gerdjikov, Rector of Sofia St.Kliment Ohridski University, and Prof.Dr.Erhan Tabakoğlu, Rector of Trakya University. 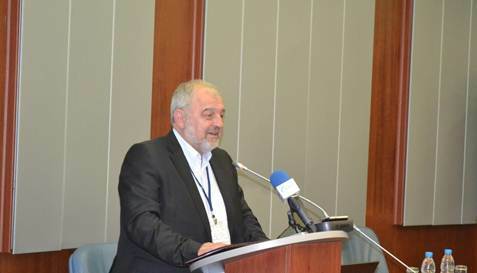 Prof.Ilchev emphasized on the necessity to make the Balkan countries attractive for the young people and the students in higher education and put great emphasis on Balkan Universities Association within this context. 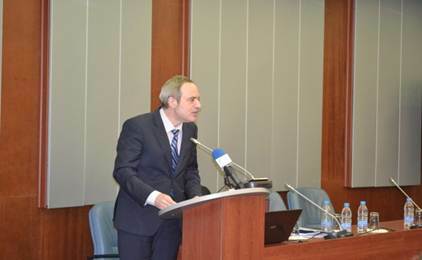 Rector Professor Anastas Gerdzhikov told that BUA was at a tender age, yet it was a highly dynamic organization. 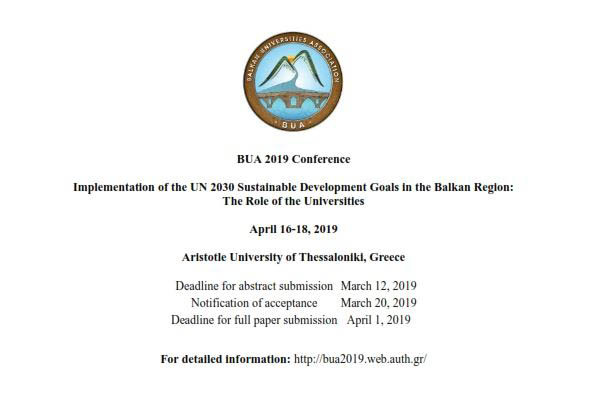 Rector also added that BUA was established to improve the academic, scientific and cultural links among the Universities in the Balkans and member Universities of BUA can establish cooperation via joint projects which are about the language variety, traditions, history, cultural heritage of Balkan people. Rector Prof.Dr.Erhan Tabakoğlu placed an emphasis on the similarities between Balkan countries in terms of common history and culture. He continued his speech with those words: “This meeting is important and meaningful because it brings us together. The representation of Balkan geography all over the world is weak. As universities, we will play an important role in the future of this land as the brain and wisdom of society. We, as the permanent secretariat of the union, will continue to work with good intentions and play an active role in resolving the problems together. There is a nice Turkish proverb ‘Even in the smallest matters one neighbor can help another’. That’s ‘why, we will help each other at most in this land. We wish this togetherness to increasingly continue since it is an invaluable thing”. Prof.Dr.Erhan Tabakoğlu talked about the necessity of bringing the information producers together in universities, which should be enhanced by creating sub-working groups in BUA. 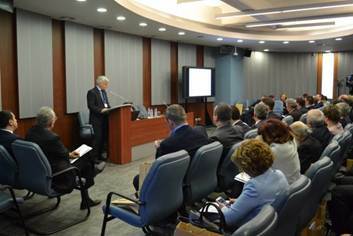 Prof. Nikolay Vitanov, Vice-Rector of Sofia University told that 35% of the financial resources of the university come from the national treasury, 25% from the EU and 40% from the collaborations with the industrial sector. He gave information about the thematic areas (Culture and Entertainment Industry, Recreative Industries, Health, ICT (Information Communication Technologies) that the national treasury allocates the budget and told that those areas can be taken as an example in the future plans of the BUA. 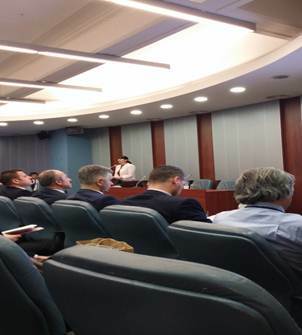 He told about EU Horizon 2020 Networks, EU Framework Programs (FP7) and Bilateral Programs as funding opportunities. Tatyana Tsaneva, Head of International Relations Office, Sofia University, gave numerical information about how they used ERASMUS and ERASMUS + and told about the exchange of students / academicians, common Post-Graduate Programs (Offered related proposals to the Education, Visual Culture, Culture Executive Agency) and the areas such as the Capacity Building Area. Prof. Yuliana Popova- Vice-Rector of University of Ruse ‘’Angel Kanchev’’ told about the perspectives for strengthening the position of BUA in the Danube Region. Vice-Rector Popova told about 7. 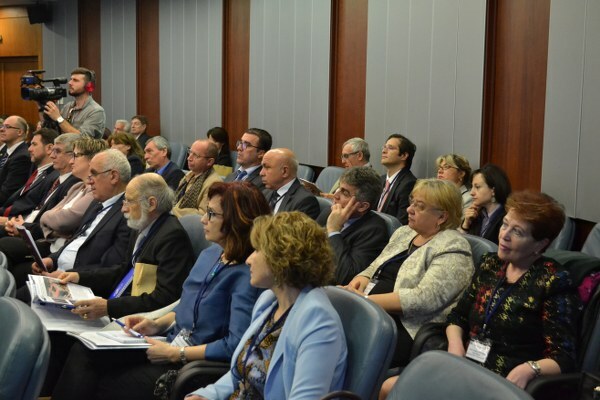 Framework Program, Intelligent Energy for Europe, COST (European Cooperation in Science and Technology), Black Sea Basin Program, Cooperation in Innovations and Research with Central and Eastern Europe, Programme for Cross-border Cooperation Bulgaria-Romania, under OP, Human Resources Development, which are EU programs. 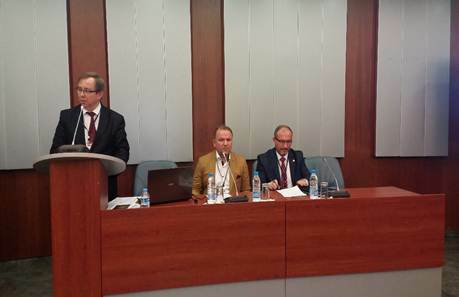 Prof. Popova gave information about Rectors’ Conference in Danube region. She noted that the cooperation between the BUA and the universities in the Danube Region, which are not the members of the BUA, can be operate through their University and added that the universities in this territory could be informed about BUA in the following issues such as common summer schools, scientific conferences, research projects, common funds for financing projects, joint degree programs. Rector Prof.Dr.Erhan Tabakoğlu, Exp. Nurgül Sarsılmaz and Exp. Yaşagül Ekinci from Trakya University highlighted the financial resources which Turkey offers for international students and academicians, under three headings. 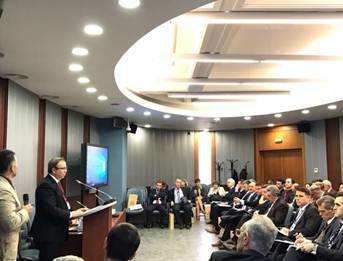 Under the title of education, '' Turkey Scholarships '' and ''Study in Turkey '' programs were introduced and the opportunities offered by Mevlana, Farabi Exchange programs and Yunus Emre Institute for foreign academicians and students were emphasized. The programs of TUBITAK were told regarding the supports provided for "Research". 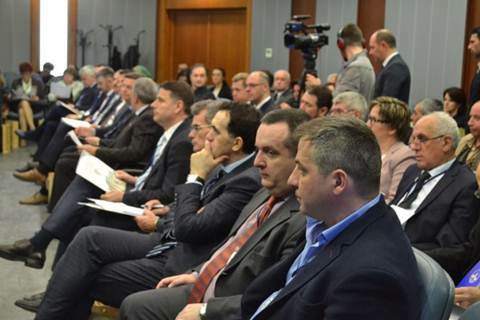 It was emphasized that academic world in the Balkans could benefit from the research centers, institutes, joint projects of departments, UN, UNESCO, UNDP and government scholarships thanks to “bilateral and multilateral cooperation '' agreements. Prof. VulnettAmetti, Rector of Tetovo University, mentioned about the increasing economic difficulties that his university came across. Thus, he put great emphasis on the financial support that his University can receive through the international programs. He also told about the decrease in the number of academics and students in his University. 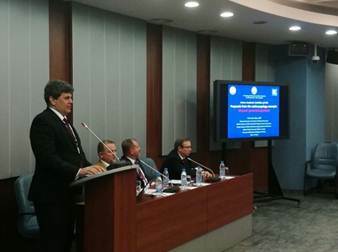 Prof. Dr. Cem UZUN, Vice-Rector of Trakya University, made a presentation titled "Suggestions for the Future Activities of Balkan University Union", in which he discussed 20 years of his personal and association experience based on science, friendship and peace that they had established in the branch of Ear Nose Throat in Balkans. 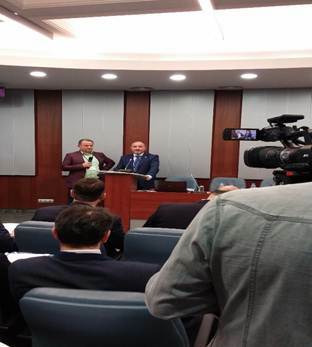 Prof. Dr. Cem UZUN, who summarized the activities performed in Balkan Society of Otorhinolaryngology, stated that his own experiences would be a good example to plan the future activities for Balkan University Association, and in this sense he offered concrete suggestions. In particular, he suggested Balkan rectors to organize platforms which would bring together academics and students from Balkan Universities, and to do the official registration of the union in order to increase the international power. 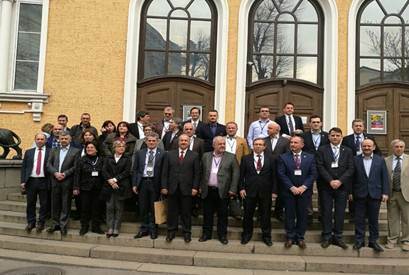 After the Third Meeting of Balkan Universities Association, a family photo was taken with all the participants. BUA reached 61 members after the participation of the new members to the Association in 2017. Furthermore, BUA Members unanimously approved Trakya University’s being the permanent member of Executive Committee of BUA. This content was issued on 06.02.2018 and has been viewed for 1234 times.